Chocolate? Wine? Fine!!!! Yes, what a treat for my Valentine! 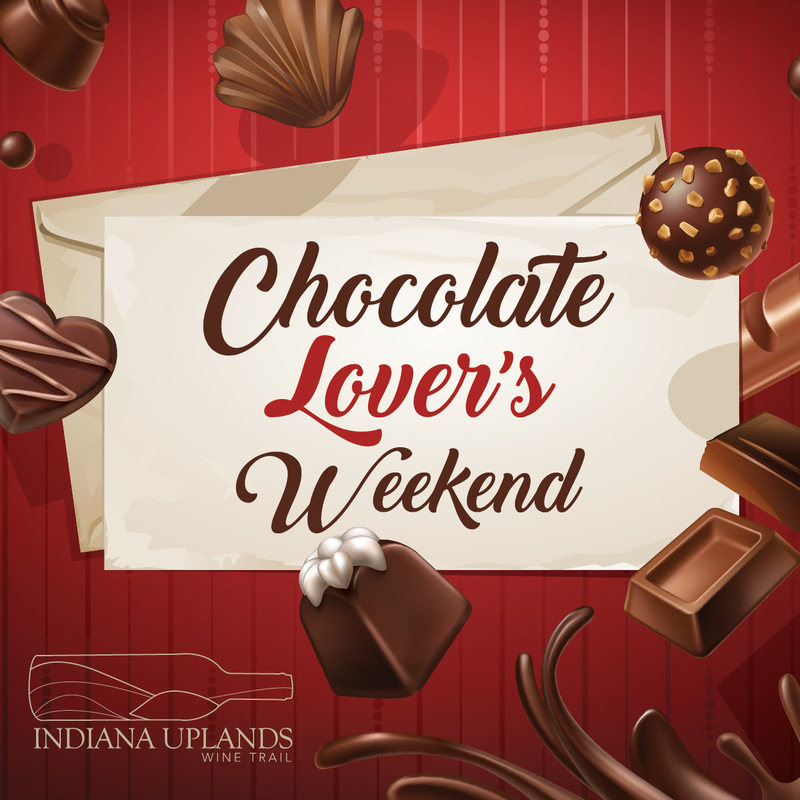 Come join us for our annual chocolate and wine pairing event, Chocolate Lover’s Weekend, now back to two weekends in February! 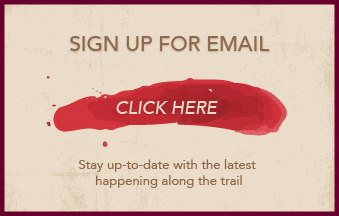 Saturday and Sunday February 9-10 and 16-17, each winery on the trail will be offering delicious chocolate treats carefully paired with their wines. No tickets necessary. What better reason to plan a trip to visit...and while you’re at it bring your passport, gather winery stamps along the way and pick up your souvenir Uplands Wine Trail tumbler before they are no longer around! 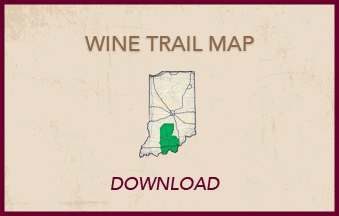 Guests interested in tour operators (to do the driving for you) can check out de Tours of Indiana Wines. Chocolate Lover's packages are now available and include transportation, tastings, chocolates, lunch and more. 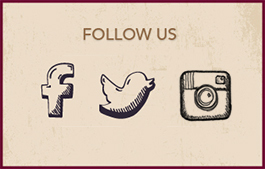 Sit back, relax and enjoy your wine tasting experience to the fullest - http://www.detourswine.com/popular-packages. will be offering a variety of chocolate treats, including candied orange peels dipped in dark chocolate, milk chocolate brownies with salted caramel, Black Forest cheesecake parfait, and potato chip clusters made with white chocolate. will be offering Iced Port brownie bites made with our Old Barrel Port and dark and milk chocolate bars from Bloomington Chocolate Company. will be featuring several selections from Bloomington-based BLU Boy Chocolatier, along with chocolates made from Butler wines. is serving chocolates from two Indiana artisan's - Shelbyville's Chocolate For The Spirit, and Jasper's Jasper Gift Basket and Popcorn Company. All will be offered with their suggested wine pairings, or feel free to mix and match to find the best tastes! will highlight specially made chocolates from Schimpff’s chocolatiers in Jeffersonville, IN, and they can be paired with wines suggested by our Tasting Loft Associates or with any of the wines available on our tasting menu. with every purchased wine tasting, will be offering handmade chocolate truffles from Bloomington chocolatier Peacetree Mountain Truffles to pair alongside. will be offering several selections of local businesses - including Dark Chocolate Fudge from Gosport-based Nate's Candy Jar, and from Spencer-artisan Diamond K Sweets their Vanillicious Fudge O'Bits. Also being served are a house-made white chocolate mousse and chocolate mendiants, a traditional French confection composed of a chocolate disk studded with dried fruits. will be offering assorted chocolates of all kinds, including candies from the White House Candy Company in Corydon and our traditional Chocolate Turtles from Schimpff's. Available in white, dark, and milk chocolate, our handmade chocolate turtles are made with delicious caramel inside and a pecan on the bottom. will be featuring chocolates from Greenfield, Indiana's J.Evelyn Confections.